When I do motivational speaking at events with younger audiences, I mention that they should never let someone’s perception of them become their reality. I reinforce the fact that it is up to them to control their future and make it what they want it to be. Regardless of what others may say they can or can’t do, I convince them that they are in control of their success and happiness. In the business world, things are quite different. Someone’s perception of you and your value can be extremely important. Since human resources are the most valuable assets in most companies, and payroll can be the largest expense, executives are often making decisions on your career without you even knowing it. 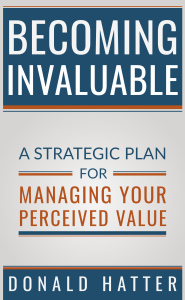 They are constantly evaluating your value to them and the organization, so if you want to thrive in your career you have to know how to manage the perception of your value. Since the workplace is changing and becoming more complex, virtual, and competitive, just attempting to do good work is not enough. 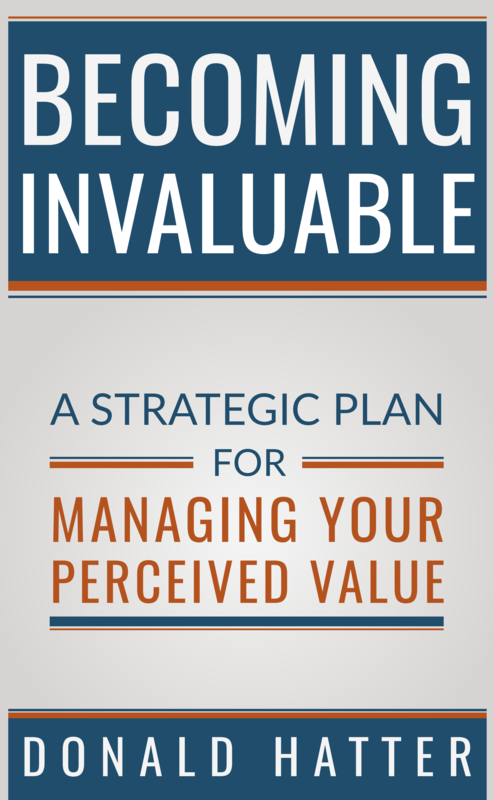 No matter where you are in your career, or what your career goals are, you have to be more proactive than ever before about managing the perception of your value. I believe in the structure as it is talked about throughout the book. However, you may need to make some adjustments to best suit your purpose, or your career. The important part is that you use some structure that helps you be more strategic. By going through a structured process and becoming more strategic, you will have a much greater chance of enjoying life while at work. Use the Action Planner in the following pages to get you started. Become and stay a part of that 13% percent of employees that are actively engaged at work. Confucius once said, “Choose a job you love, and you will never have to work a day in your life.” Make that your ultimate career goal.